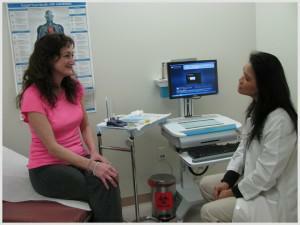 We offer a full range of the latest in women’s health care services. The physicians are excellent– compassionate, kind and personable. They give personal attention to each patient and make me feel comfortable enough to ask questions. I wouldn’t go anywhere else. Under the Affordable Care Act, certain preventive services are covered without cost sharing in new health plans starting August 2012. Services include: well-woman visits, HPV testing, contraception, and domestic violence screening and counseling. For a full list of covered preventive services and insurance information, click here.